You are here: Immigration Vietnam Visa > Questions > How many blank pages do I need in my passport? My passport has one blank page left. Is it enough to get Vietnam visa stamped? Thanks for your query. However, we are afraid that you need to get your passport renewed since you need at least 2 blank pages in your passport to get your visa stamped. One page is for your entrance and another one is stamped on when you exit the country. I have two blank pages in my Canadian passport but they are not together (contiguous). Is this a problem for obtaining a Vietnam Visa? 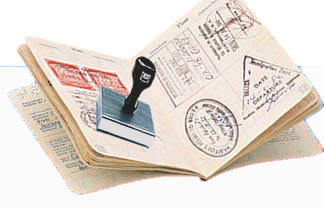 As long as you have full two blank pages in your passport, there will be no problem for obtaining Vietnam visa. They are not necessary to be together. What is the easiest way to obtain Vietnam entry visa? Previous post: Is it compulsory to buy a round ticket before getting Vietnam visa?